Does solar energy really make sense in Kentucky? Absolutely. A typical system size of 10 kw will produce right at 13,500 kwhrs/year. Energy companies in this region charge right around $0.10/kwhr, and over the past 20 years that rate has risen by about 4% per year. When you factor in rising energy costs, the ROI for the system will be right at 10years, and the system will pay for itself almost 3 times during its guaranteed life. Is financing available for my solar system? YES. We work with a few different national solar finance companies (Mosaic Financing, Service Finance, Greensky). We offer zero down installations, while spreading the payment out over 5-25 years. Typical interest rates can be anywhere from 2.99%-10% depending on the term of the loan as well as the applicants credit rating. NO. 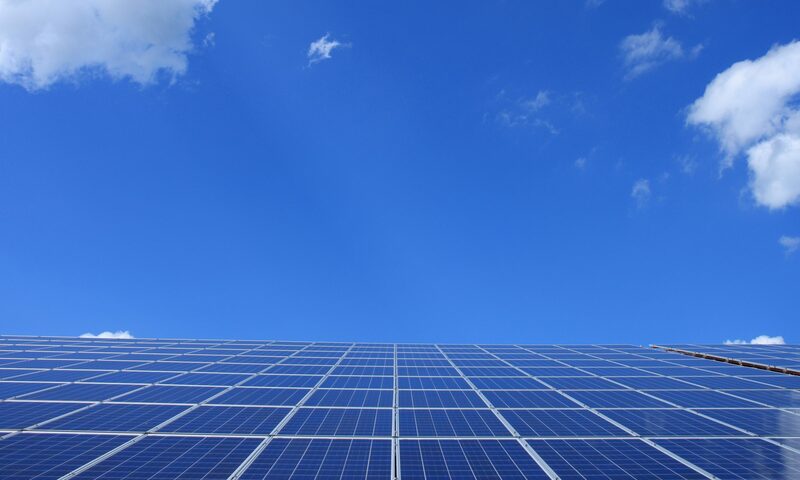 Lucky for us, the energy companies throughout this region have adopted a policy known as “net metering.” This allows homeowners to maximize their savings while minimizing their project cost. month, and this is how they get to the dollar amount that you are charged. On the other hand, when your solar system gets installed you will enter into a “Net Metering” agreement with your energy company. This means your meter will now keep track of the amount of kWhr you send back to the grid each month, along with the amount you pull from the grid as well. This allows a homeowner to use their energy companies grid essentially as their own battery. For example, during the day many people are not at home using any power, however their system will be producing power. In this scenario, you would be sending the energy produced back into the grid, collecting khWr credits for later use. These credits roll over day to day, and month to month. We do install off grid battery-backed systems as well, however for the savings minded people this would not be the best option currently, as it adds a significant amount to the project cost. Can I eliminate my electric bill 100%? In most cases the answer will be yes. We provide a complimentary energy evaluation and site assessment specific to your home. We may find that your roof space and sun exposure limit the size of the solar system that we can install. In certain scenarios we may only be able to install a system that produces 60%-80% of your yearly energy usage. In this case your bill each month would show you the amount of kwhr pulled from the grid, and the amount of kwhr sent to the grid, and you will only be charged for the difference of those values. For example, your bill could show that you used 1000 k/hr in a given month, and on the same bill you sent back 700 kwhr to the grid. For this month, you would only be billed for 300 kwhr. Can I sell my excess energy back to my energy company to make money? were sent back to the grid but not used in those 12 months, then you will receive a check equivalent to the retail value of the overproduction. How do I know how many solar panels my home needs? It is very simple, we look at your energy usage over the past 12 months, and do the math as to how many panels we need to install based off of the weather in this region to produce your yearly energy needs. We provide very conservative location specific numbers for production, and after looking at your bill and performing a complimentary site survey, we will know exactly what you need. What is the warranty information for this type of solar system? Everything we install comes with a manufacturer’s 25 year warranty. The panels are guaranteed to still be producing at least 81% of the year 1 production at year 25. Also, the inverters we install come with a 25 year guarantee as well. This system will more than likely last 30-40 years, but is guaranteed for everything to year 25.